With AFerry you can book ferries from Travemunde near the town of Lubeck in North East Germany to Liepaja on the West coast of Latvia. 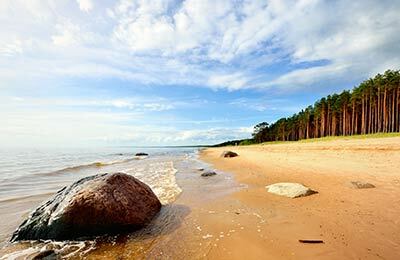 You can use AFerry to book your ferry to or from Liepaja quickly and easily. Stena Line is one of the biggest and most well known ferry companies in Europe and you are sure to have a wonderful sailing experience on board your ferry to or from Liepaja. If you are travelling from the capital city of Riga, travel towards Jumala on the A220 and take the exit Roznieki on to the A218 into the centre of Liepaja. From here the port is well sign-posted and easy to find. 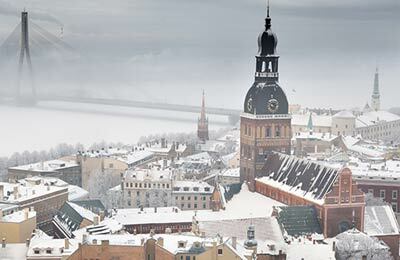 Trains from the capital city of Riga take approximately five hours to reach Liepaja and there are two trains per day. One train departs in the morning and the other in the evening. Tickets are not expensive.